1. Mix the two types of flour with the salt and the baking soda in a large bowl. 2. Mix the butter and sugar using a mixer until the sugar melts. 3. Add the eggs, milk, vanilla and almond extract over the butter & sugar mixture. Mix well. 5. 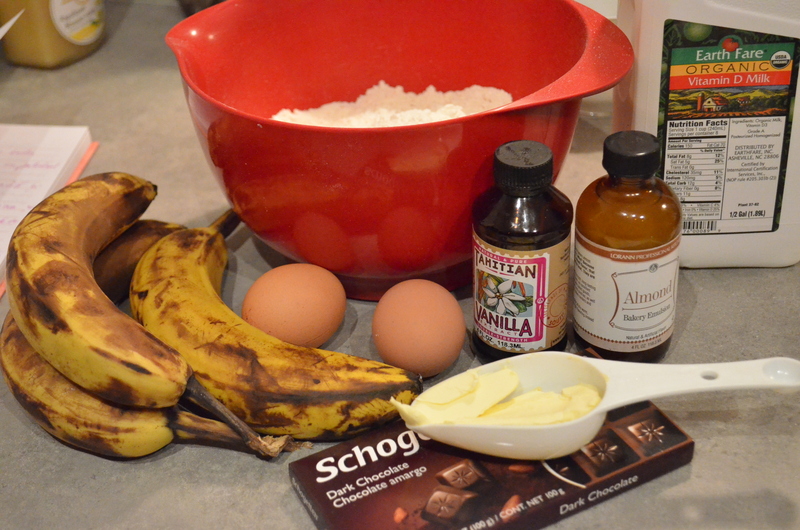 Combine the banana puree with the flour and the butter mixture. Use a mixer to incorporate everything together. 6. 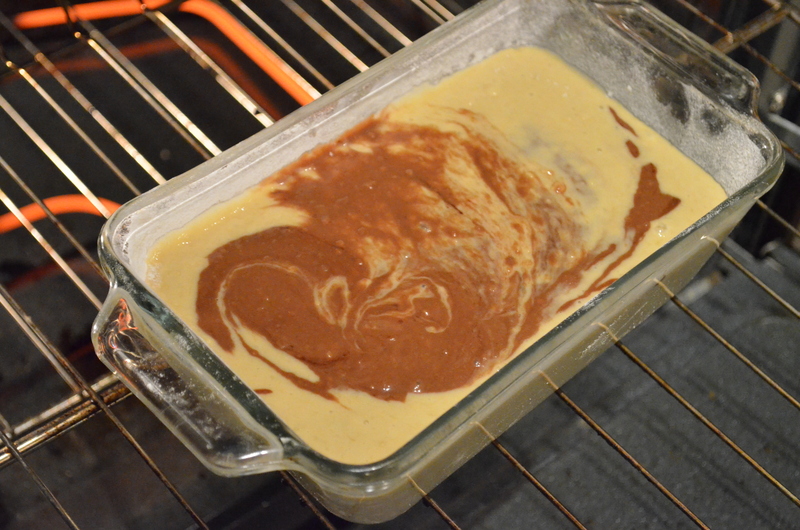 Divide the batter in two and mix on of them with the melted chocolate. 7. Cover a loaf pan with butter and then sprinkle some flour. 8. 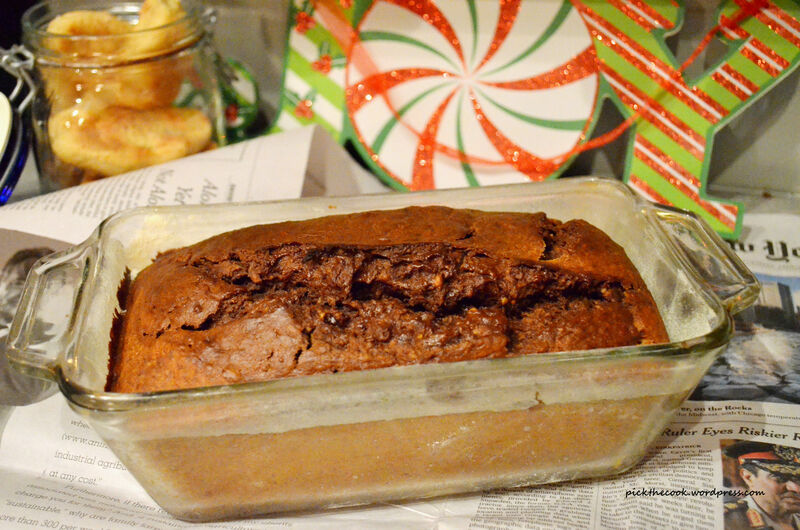 Pour the white batter into the loaf pan. 9. Pour the chocolate batter into the pan. 10. Use a knife or a stick to mix the two batters a little bit. 11. Bake at 350F for 60 minutes.